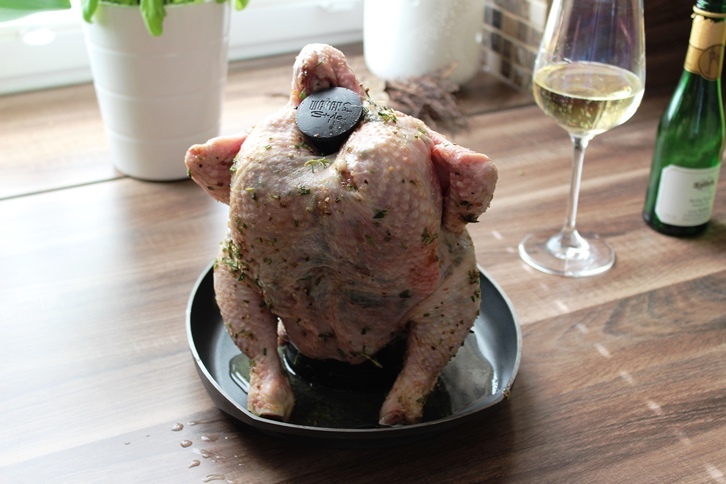 When I asked Alex what he wanted to have for dinner on Sunday night, he replied “Beer Can Chicken”! Personally, I was just happy to hear chicken instead of beef or pork! 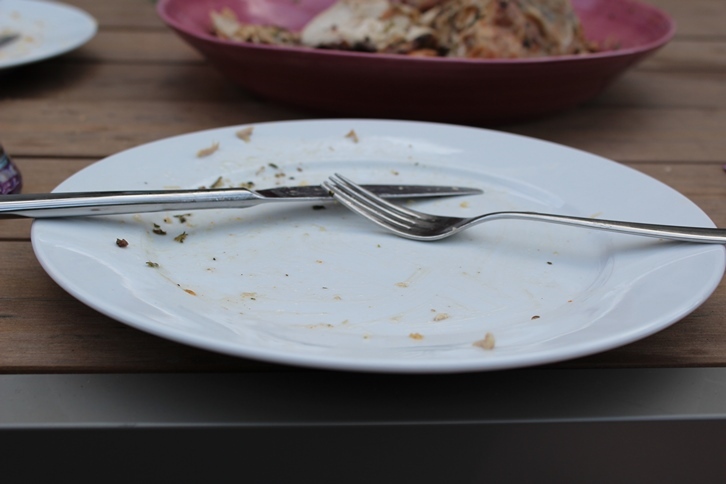 We used to eat more chicken but recently have had it a few times where the quality of the meat wasn’t so great so it had worn out it’s welcome in our home. I am happy that it made an appearance in our weekly menu and am guessing that with how totally delicious this meal was that it will be allowed back into rotation! 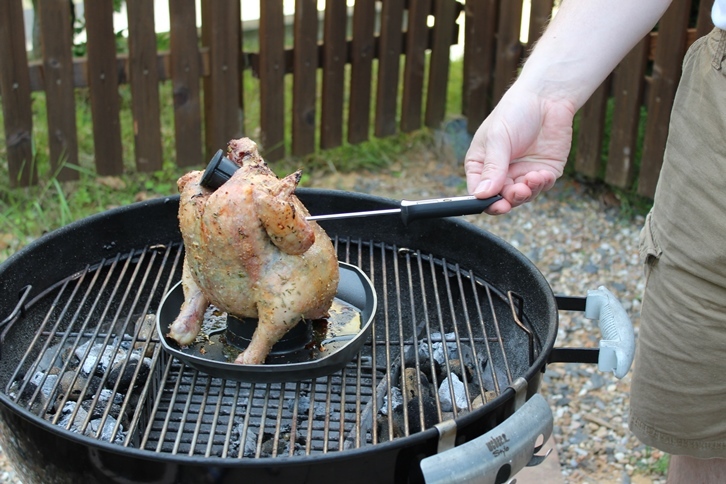 We have made beer can chicken a few times since we got our grill. It was first introduced to us by our friends Andy and Jenny, who have the same awesome grill we do. One difference is that Andy’s grill made the journey to Germany from the US in an airplane as an extra piece of Alex’s checked luggage rather than in a boat! I started searching for new recipes for a chicken this morning and found one that sounded interesting to me with a few tweaks for ingredients I didn’t have. We recently went to an Italian organic grocer that has made me dream of visiting Tuscany, so I am pretty sure that just simply having the description “Tuscan” in the title may have had something to do with why I wanted to try this recipe. 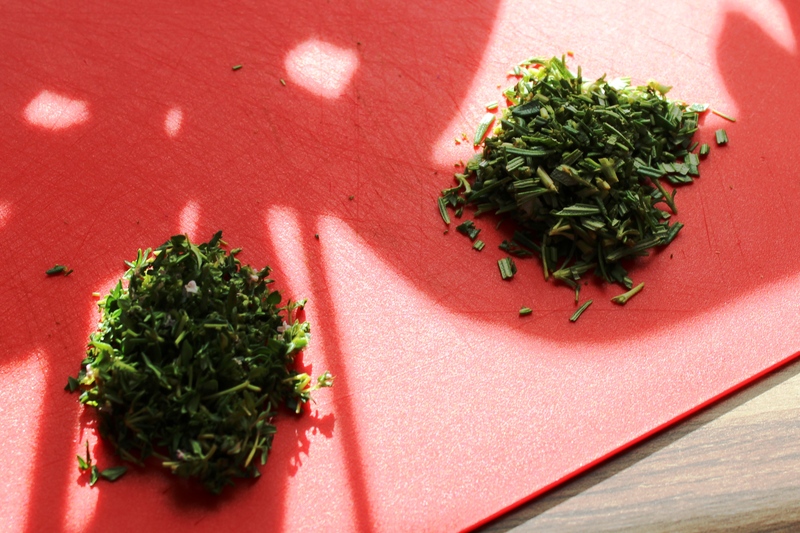 First, mince up the rosemary and thyme. You will want fairly small pieces to have enough to cover the bird well. Then, combine all the ingredients (well, besides the chicken) in a small bowl and combine well. It will be thick like a paste. Then, use your hands to loosen the skin so that you can get the rub all over the meat of the bird. Then, rub all but a small amount all over the meat of the bird. Rub half of the reserved amount over the skin to brown it up a bit. So, rather than using a can we have a handy roaster for our grill. 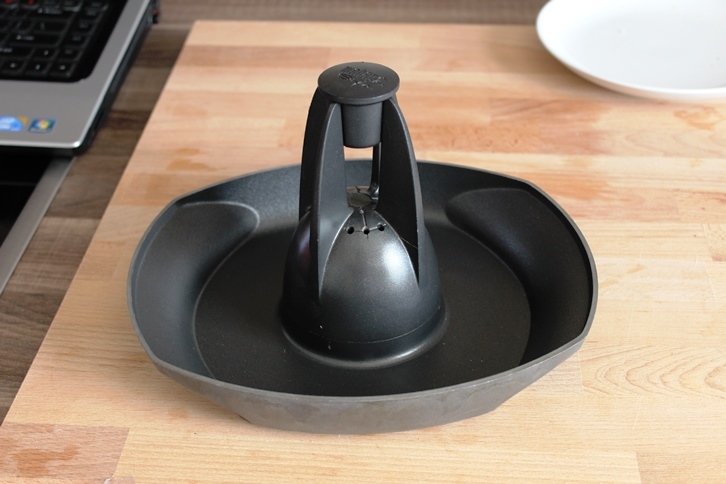 It is great because it has a pan on the bottom to collect the juices and also a handy little cap to stick in the neck to prevent it from drying out. You can find it here on Amazon.com or here on Amazon.de. If you don’t have this, you can use an empty beer or soda can with a few holes in the top. 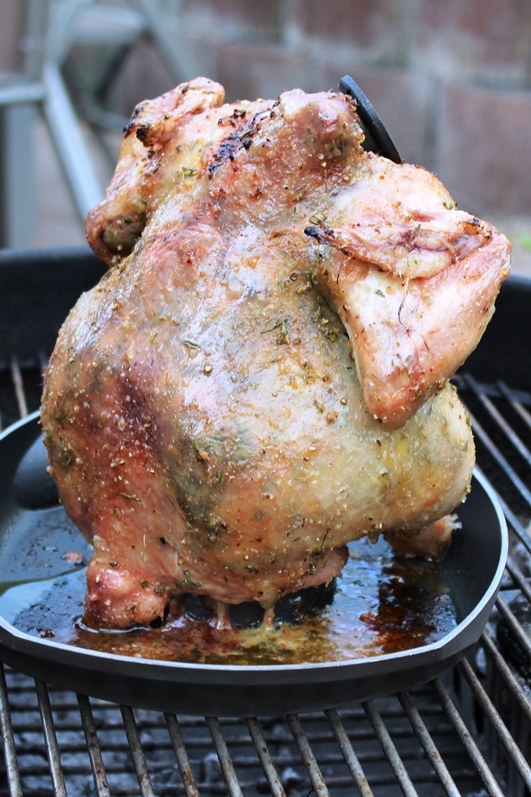 You will want to put an aluminum tray under the bird in the bottom of your grill to collect the juices. Now, you fill up the reservoir with the remaining rub and Sekt (or sparkling wine). Be smarter than me and remember that the wine will fizz a bit as you pour. As my dad would say, patience is a virtue! Then pour the rest in a glass for yourself. You wouldn’t want it to go to waste! 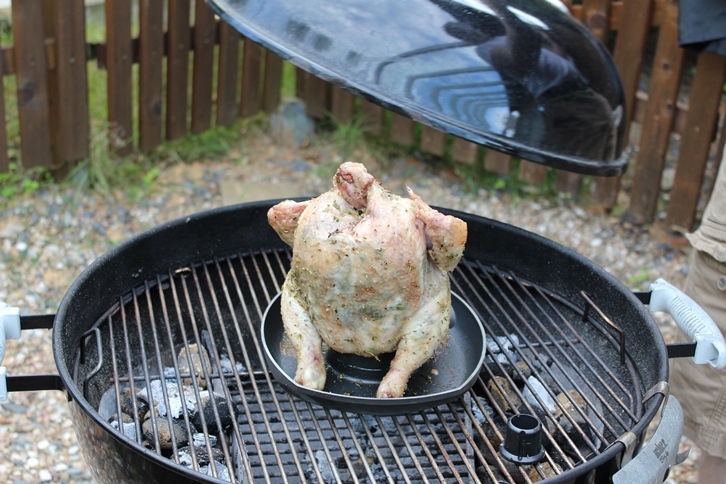 Now stick the chicken on the roaster and you are ready to roll! We set up our grill with our two baskets of coals along the sides to leave a big section of indirect heat in the middle. The chicken goes right in the middle. And at an hour it was done! 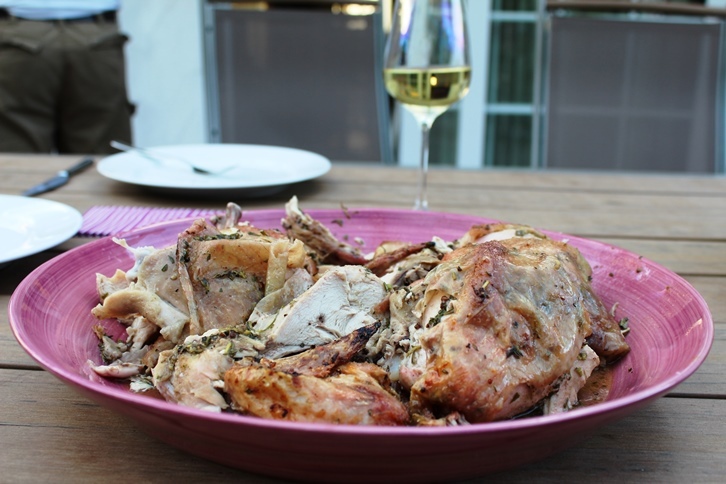 We have not yet mastered the art of cutting up a bird so it looks as good as it tastes. This picture doesn’t even begin to look as good as it tasted! So good that we made it again last night when having our friends Felix and Marion over for dinner. It may be my favorite chicken recipe ever! Enjoy! 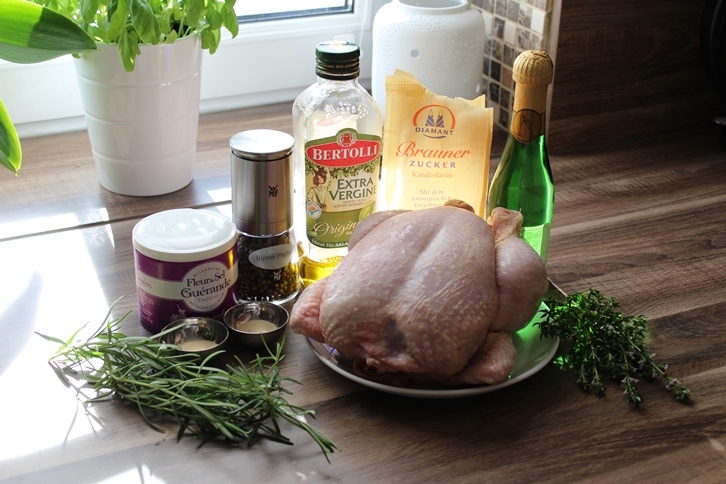 Combine all ingredients (except the bird and wine) in a small dish and combine well. Loosen the skin on the bird, and then coat it completely with rub under the skin, reserving a little for over the skin and for in the roaster. 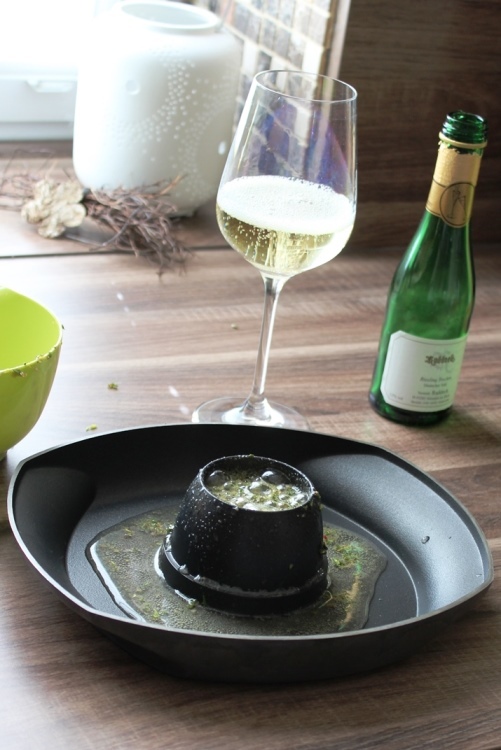 Fill a beer can half way or your roasting pan’s reservoir with the sparkling wine and add the remaining rub. Put the chicken on the roaster. 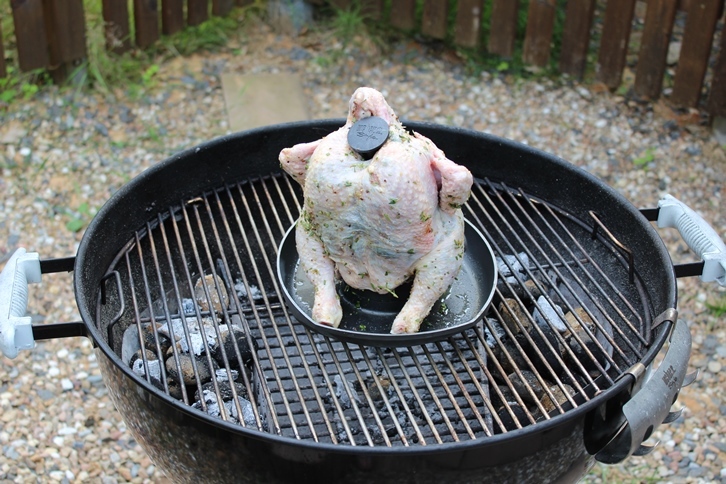 Grill for an hour to an hour and a half, until the chicken reaches 165 degrees Fahrenheit. Let the chicken rest on the roaster or can for 5-10 minutes before cutting it up. Devour and enjoy!